I’ve been working out since the start of the year and I’ve lost 20 lbs. 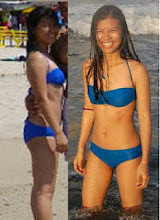 I’ve achieved my ideal weight this summer and now my goal is to tone up and gain lean muscles. My room is my gym, haha, so no.